Formulated using only minerals and pigments, our Mineral Foundations have outstanding versatility and wear. Available in an extensive collection of shades and three outstanding formulations, a minimal amount of product will help you achieve a flawless, radiant look while natural UV protection guards your skin. 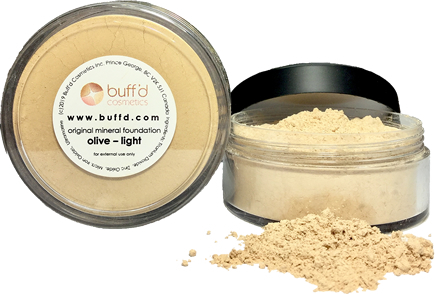 As with all our products, Buff'd Mineral Foundations are free of irritating and harmful ingredients which may be damaging to some skin types. The Chubby Blender, Jumbo Flat Top, Jumbo Buffer and Kabuki Buffer brushes are perfect for applying these loose-mineral powders.